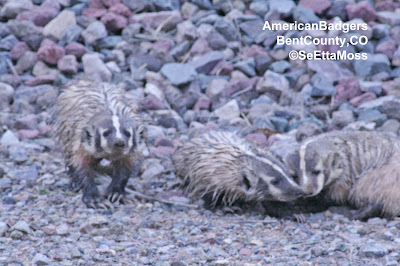 While driving on H50 in Bent County I spotted some small animals right beside the highway ahead of me. Since I take active measures to avoid hitting animals, I slowed down and honked lightly when I close enough to scare them away from traffic. At first I thought they were probably racoons, but as I passed I saw that they were badgers. I turned around as soon as I could to get a better look and hopefully some pics. 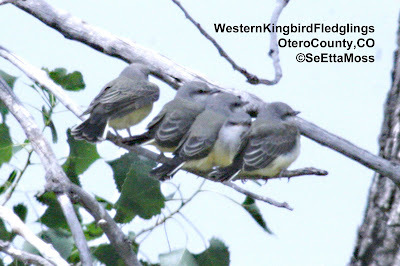 As I had scared them, they had retreated about 20 feet from the highway which is where I got the top pic. 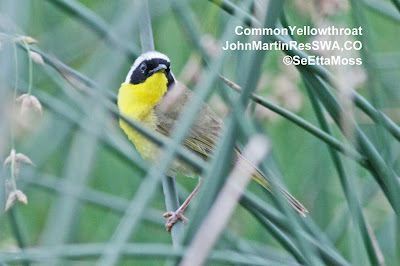 It was late in the afternoon with a overcast sky so the light wasn't good and I had to take my photos quickly before they got away (that's ok, I'd rather keep them off the highway than get close-up photos). 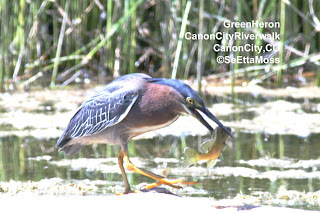 In the top pics the Green Heron makes the final adjustments of the fish before swallowing it in one large gulch. The bottom pic is right after it swallowed the fish--looks like a very satisfied heron. 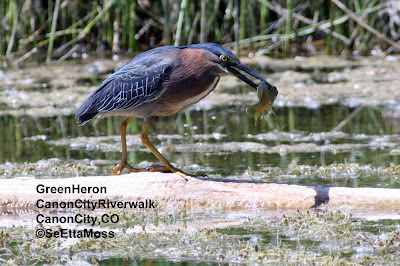 I photographed this Green Heron on a small pond on the Canon City, CO Riverwalk. There have been Green Herons fishing at this pond for a number of years. Sometimes I have found 2 adult Green Herons in this pond at one time and several years ago I saw one carrying nesting material (which, had it been during a Breeding Bird Atlas survey year, would have been considered confirmed breeding). Thoug I have never found an immature Green Heron at this location nor further evidence of breeding, I can't imagine that there would be Green Herons at this location year after year if they weren't breeding either here or somewhere not too far away.